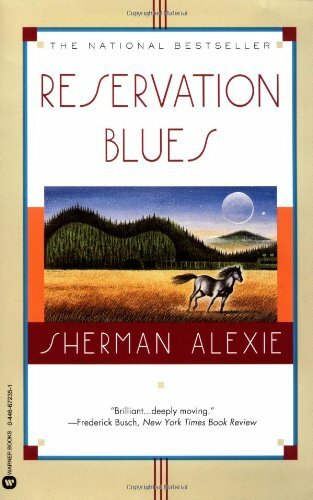 Poignant, darkly humorous story about reservation life. Sending off in a trade through the mail to a fellow bookcrosser. Hope you like it Biba89! Thanks for the trade! And it arrived today! It has been travelling a whole month. I am looking forward to this very much, thank you! What a beautiful book. I can believe that its desciptions of the situations in the reservation, the sadness, the behaviour of white people yearning for something Indians seem to have, are quite accurate. I found the story was enriched tremendously by the dreams of the people. I dreamt about it too, when reading it. Look, after living in a trailer for two years while building our earthship home, it is finally time to go to the storage and get my books home. Yay! I found this one and couldn't remeber reading it. Hooray for Bookcrossing, for I probably left a review on its book page. And obviously I did. For keeps, huh? So it will be worth rereading. Which I intend to do, sitting happily in the living room of our now finished beautiful earthship home.